Friday 26 to Sunday 28 of October 2018: those are the dates of the seventh international pilgrimage of the People of Summorum Pontificum in Rome. Throughout those three Roman days the pilgrims will pray for the Church and for holiness in the priesthood in these dark times with their numerous scandals. As we have announced in our recent letters on the topic, Bishop Czeslaw Kozon of Copenhagen�a diocese that covers all Denmark, the Faroe Islands, and Greenland�will guide the pilgrims on their way to Saint Peter�s. Friday October 26, as a preamble to the pilgrimage, Paix Liturgique, with the support of the International Federations Una Voce and Juventutem, has organized a day of meetings to explore the growth of the extraordinary form of the Roman rite across the globe. Here is the complete agenda with all the information necessary to take part in it. At the day�s end, the pilgrimage opening Mass will be held at 6pm at Saint Trinit� dei Pellegrini church and will be offered in thanksgiving for the Fraternity of Saint Peter�s thirtieth anniversary by Fr. Charles Ike, an FSSP priest ordained in 2017 in Nigeria. 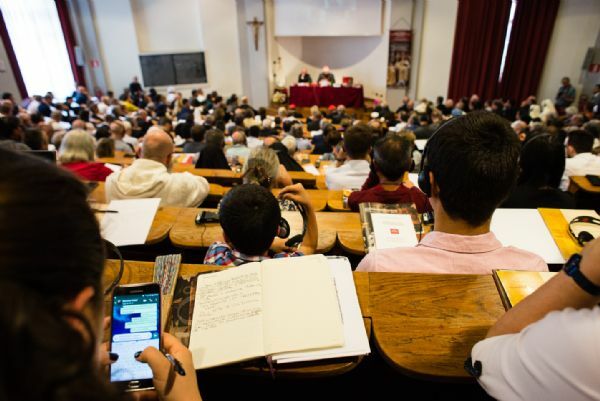 The Summorum Pontificum encounters will take place at the Patristic Institute Augustinianum, located across from the Holy Office on the edge of Saint Peter�s square (25 Via Paolo VI). Participants can start arriving at 9am; activities begin at 10am. Participants must preregister by clicking here (then �Tickets�). 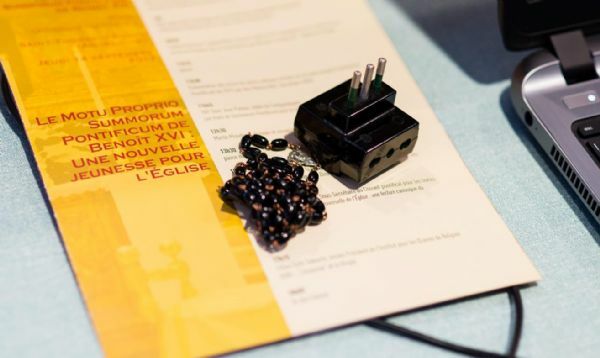 The registration fee is 15 Euros for laymen; it includes an aperitif, a light lunch, and simultaneous translation (English, French, German, and Italian). Priests and seminarians get in for free, but they must sign up in advance. 10:15am: Felipe Alanis, president of the International Federation Una Voce: Una Voce, a witness to the presence of the people of Summorum Pontificum on all five continents. 4pm: Christian Marquant, president of Oremus: An outline for a growth assessment of the People of Summorum Pontificum in the World. NB: the complete pilgrimage program is available on the CISP website.